Being a marriage celebrant is an absolute privilege. I get to help make your special day everything you ever dreamt of and more! I am a happy, positive, warm and fun-loving person, who absolutely loves seeing people in love! I am extremely organised and will make sure any stressful moments are instantly calmed with clarity and care. As your Marriage Celebrant, I will ensure you experience a totally personalised, meaningful and heartfelt ceremony. 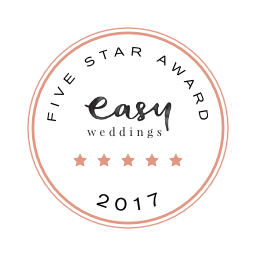 I am committed to complementing your special day with a professional, stylish service, whether traditional or informal, at a location of your choice. A commitment ceremony is very similar to a marriage ceremony, whereby couples seek to commit their lives to one another in a ceremony that reflects their values and their love for each other as well as to family and friends. A Naming Ceremony is a beautiful part of our lives and an ancient tradition. The ceremony can be held at home, in a park, chapel or beach. It is an opportunity to welcome a child into our lives and the community, with the promise of love, support and guidance. What a lovely way to say “I LOVE YOU” after years of marriage. Renewal of Vows, or Reaffirmation of Vows, has become popular in recent years, from a one-year anniversary to fifty years of marriage. We can’t thank Danielle enough for the amazing work that she did in making our wedding ceremony totally custom to us and what getting married meant to us. She never said that we should include this or include that, she just made it about us! i would have absolutely no hesitation at all to recommend this beautiful human to anyone who needs anything ceremonial. She was fantastic, very professional and very personalised to what we wanted. Nothing was too hard for her and we are glad we had her part of our day! We can’t thank Danielle enough for being the most perfect wedding celebrant and such a special addition to our big day. She is a beautiful soul inside and out with a great sense of humour, and a vibrant, kind hearted, easy going way about her that makes anyone and everyone feel comfortable, which made what could be a daunting process enjoyable and stress free. She was professional and on time with all the serious stuff and she truly cared about making sure our ceremony was personalised and perfect for us and handled ours and our guests banter on the day with ease and grace. Danielle was awesome. Very professional and helpful. Couldn’t of been happier to have her as our wedding celebrant. Highly recommended. Please call me to arrange an appointment to discuss your special ceremony.